Good PCBA supplier must have got everything you need for quality PCBA. Almost each PCBA factory have announce they can provide quality PCBA. Previous post we have discussed how to judge a good PCBA supplier. In this paper, we are going to discuss some basic PCBA manufacturing technology. There were so many PCBA manufacturing technologies. Some are simple, but the rest is very complex. How to understand PCBA manufacturing process more fast? 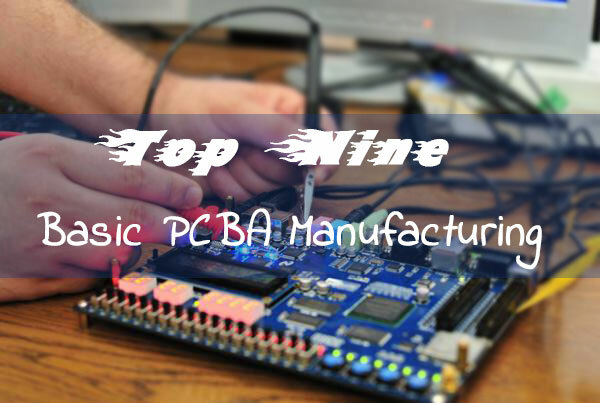 Our rich PCBA experts recommend top nine basic PCBA manufacturing technologies. Frank wants to clear that here nine PCBA technology just the basic. If you want to learn more PCBA manufacturing info, please follow our updates. Here we just simple introduce those nine PCBA manufacturing technologies. If you have additional questions, please do not hesitate contact us. The alternative of using solder paste and reflowing all the components is attractive, and cost reduction and process simplification are major driving forces behind what is called ‘intrusive reflow’ or (more descriptively) ‘pin-in-paste’ or ‘Pin-In-Hole Reflow’ (PIHR). Selective soldering is the process of selectively soldering components to printed circuit boards … Selective aperture tooling over wave solder: These tools mask off areas previously soldered in the SMT reflow soldering process. An interference fit, also known as a press fit or friction fit is a fastening between two parts which is achieved by friction after the parts are pushed together, rather than by any other means of fastening. Double sided Metal core PCB boards are assembled by first processing the first side followed by the second but there are considerations that need to be made. Rework – Bringing a non-conforming part back into conformance by simply reprocessing a prior sequence. Repair – Bringing a non-conforming part back into conformance using methods outside the original process. The RoHS Directive lists the hazardous materials that are not to be used in the RoHS PCB assembly process including printed circuit boards, discrete components, or solder joints. No-clean solder paste was supposed to obviate the need to clean circuit boards. 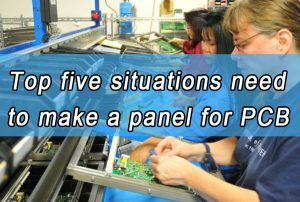 Nobody wants to work in rigid PCB manufacturing? Why there were more PCBA plants in Thailand? This entry was posted in Blog and tagged basic PCBA manufacturing technology, PCBA manufacturing.